After graduating from El Paso High School in 1947, Gene worked side by side with his father until he joined the service in January 1952. Gene was deployed to Korea where he worked as a halftrack mechanic in the U.S. Army. 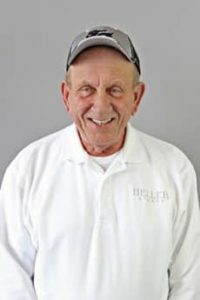 When his young family returned to El Paso, Gene took over the day-to-day operations of Heller’s Garage (the old Sweeney’s Garage) from his father, Bud. A few years later, in February of 1956, Gene borrowed $10,000 from a Secor farmer to purchase the Foltz Motor Company and opened his new Ford garage in downtown El Paso near the theatre. In the years to come, Gene, his sons, and now grandsons have turned that small garage into one of the largest Ford dealers in the state of Illinois. The Heller Stores now employ over 150 people. At 85 years of age, Gene is still here to open the “garage” every morning at 6:30. Gene’s guidance and desire to treat all of his customers as if they were family has enabled his business to thrive for nearly 60 years. Gene doesn’t have email, so you’ll have to stop in if you’d like to say hello! Dan’s genuine love for both people and cars has set the tone at The Heller Stores for the past 40 plus years. Dan’s passion for his employees and customers earned him the honor of Time Magazine’s Illinois Automobile Dealer of the Year in 2009. Dan and his amazing wife Karen have two boys, and if there is anything Dan is better at than cars, it’s being a father. 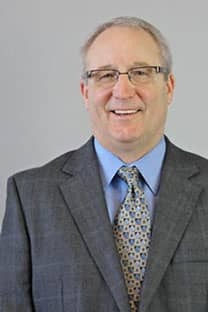 Although Dan has passed the responsibility of day-to-day operations to his boys, he remains active as the Co-Chairman of the Illinois FDAF and serves his fellow Ford dealers as their representative on the National Dealer Council. An avid collector of vintage Ford’s, Dan always has time to talk cars with friends and visitors. It’s impossible to say when Neil officially started working at Heller Ford, considering that he nearly grew up on the showroom floor. 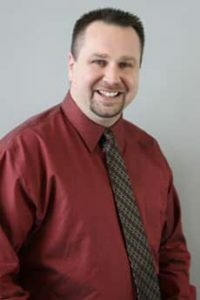 Having spent time in various departments in the dealership, Neil assumed a managerial role in 2005 after graduating from the University of Illinois. 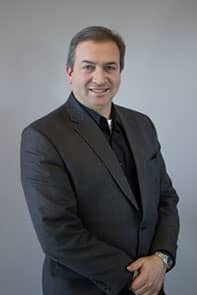 Neil earned his position through hard work and because he has a knack for knowing his customers, finding the perfect car for them, and remembering them for years to come. He’s married to the woman of his dreams and if you’re lucky, you might spot them riding around on their tandem bicycle. Don’t be afraid to say hello! When he’s not working hard to put a smile on his customers’ and employees’ faces, Neil enjoys remodeling and furnishing older homes. He’s proud to carry on his father and grandfather’s legacy and lead Heller Ford into the future. Karen has been with the Hellers since the time Bud Heller was selling John Deere – that’s 40 years, if you’re counting (Karen isn’t). Karen’s levelheaded approach to problem solving has made her an integral part of our success. Karen is a proud mother and grandmother who used to joke about “those crazy dog people,” but two border collies have since turned her world upside down. 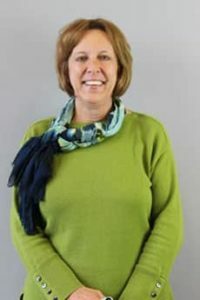 Mary Wilkey is the lady behind all the numbers at Heller Ford. She’s been here for 17 years and runs a tight ship behind the scenes. In her spare time, she focuses on faith and family. She has five kids of her own and five grandchildren. As a grandmother, it’s her duty to spoil them, and she’s pretty good at it! 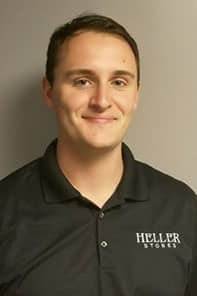 Brandon handles all the marketing and advertising for the Heller Stores. He enjoys finding new ways to bring customers to our stores. When not at work, Brandon can be found coaching the Illinois Fusion soccer club in Bloomington or spending time with his wife and two girls. My main goal is to treat every customer with the best care possible here at Heller Ford and look forward to doing that. My wife and I recently purchased our first home. You can catch me working on the house or in the yard when not at Heller Ford. I also enjoy watching football and spending time with my family. 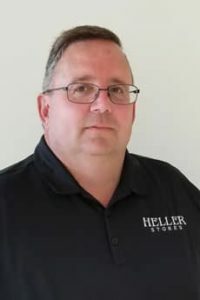 Chris started at Heller Ford over 16 years ago in the sales department. His aptitude for all things digital became apparent when he built the dealership’s first website. 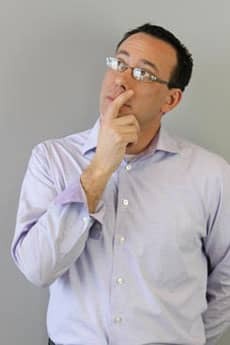 As the business began to rely more and more on computers, Chris seamlessly transitioned into his current role maintaining all things that go beep. When not thinking in 1s and 0s, Chris helps his wife raise their four agility dogs (3 shih-tzus and a border collie). Just don’t bring up fantasy football, because then he’ll never shut up. 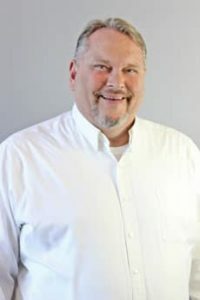 Jim started his career in the car business in his hometown of Streator when he was in high school. After holding various positions from detailing, parts assistant, and service writer; the business was in his blood and he moved to selling cars. Jim enjoys selling in a “small town” atmosphere where your word is your bond and in the end, your reputation is all that matters. As his wife Mary says, Jim enjoys “punching numbers” and helping customers and sales people find the right vehicle and fit it into their budget. When not at work he enjoys spending time with Mary and their three daughters, getting the Harley out, and watching sports in the man cave. 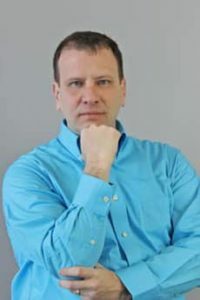 Greg has held nearly every position at Heller Ford. In high school, he worked on the lot, parking cars. He has worked his way up from there – spending time in the service department, parts department, detail, Quick Lane, and sales. Greg enjoys exceeding the expectations of Heller Ford’s loyal customers. In his spare time, he watches his daughter play travel softball and cheers for the ISU Redbirds. It should also be noted that Greg is a perennial middle-of-the-road finisher in the Heller Stores fantasy football league. Greg would like to mention that he loves Thin Mints, in case anyone reading this needs a gift idea. 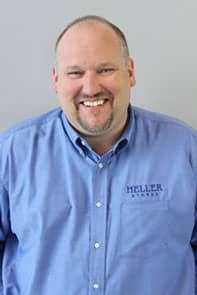 Ron Kizer has been with Heller Ford for over 17 years and has over three decades of industry experience. “Kiz,” as we know him, is a proven problem solver who enjoys working for a family-oriented business. In all his years here, he never missed any of his daughter’s golf matches or basketball games. There are many ways to describe Ron Kizer, but if you know him, you know that he can’t possibly be summed up in a single paragraph. For those of you who have yet to meet him, here’s a small sample of what you can expect: family man, hunter, All-State basketball player, dairy queen aficionado, outdoorsman, golf champion, shark wrangler, venison chef extraordinaire. The list goes on and on, but you’ll have to talk to Kiz to find out more. 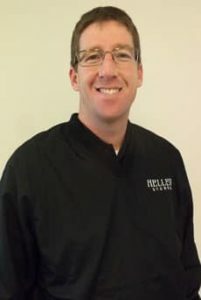 Danny Wickman has been with Heller Ford for 17 years. A big part of his job is helping the sales staff value customer trades at top dollar, and he’s very good at it. Dan is proud to be a Vietnam veteran. When he’s not spending time with his five grandchildren or his pit bull, he likes to fish and work on remodeling his house. 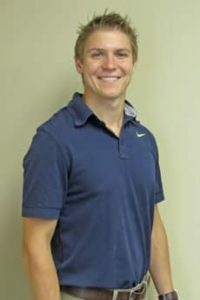 Cory is an easygoing member of our sales team who truly enjoys guiding customers through the buying process. When he’s not at work and has already tackled his “honey-do list”, you can find him out on the water on his 19’ Stingray boat with friends and family. 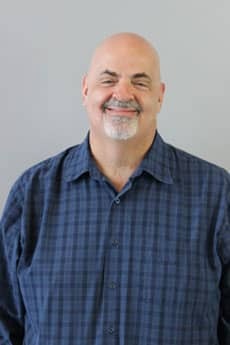 Mike has been in the car business selling vehicles for over 20 years. He loves to help people by listening to their needs and fitting them into their dream car. In his free time, Mike spends the majority of it with his family and friends. Most often around a campfire telling stories and just spending quality time together with his wife and two girls (aged 25 and 20). When he gets some time to himself, Mike loves to watch sports, especially Football, although his favorite team, Chicago Bears, are not very fun to watch right now!! 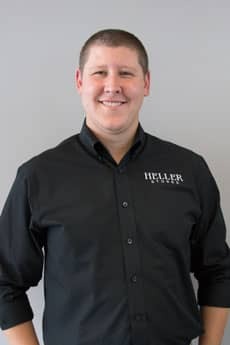 John Brown is an exceptional addition to Heller Ford because he is very family oriented, which the Heller Stores are built upon. 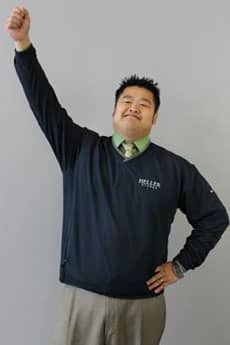 He joined the Heller team for the opportunity to thrive and help others find the car of their dreams. In the summer when he is not serving his customers, he is spending time with his wife and three children either cooking out or in the pool! He is a fan of Chicago sports including the Cubs, Blackhawks, Bulls, and Bears! One day he wishes he could get his first car back, which was a 1964 Chevelle Malibu! Raef is new to the car business. In the past, he has been a History Teacher and Business to Business Salesman. 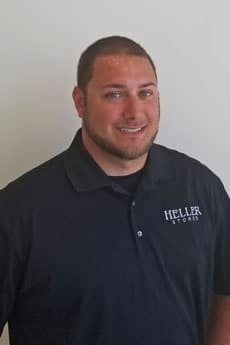 When thinking about selling cars he remembered the great experience he had buying a car at Heller Ford. He wants every customer to have a great experience buying a car from him. Raef is a dedicated family man that loves going on adventures with his wife and 2 daughters. He also loves to play golf. Raef is an avid sports fan and loves to watch movies. He will work very hard for his customers and is dedicated to helping find the right vehicle for them. Noah moved to Bloomington in 2001 from the St. Louis area. He came from a mechanical background as a machinist. 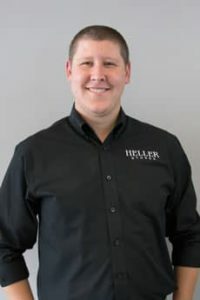 Finally landing in the automotive business where after working at three separate dealerships, he finally found a home at Heller Ford in El Paso. On his own time, Noah loves spending time in the great outdoors; hunting deer & bass fishing. He also loves to do remodeling projects around the house and spending time with his family. For all your automotive shopping needs, Noah is here to listen to your needs and help you find that perfect vehicle! 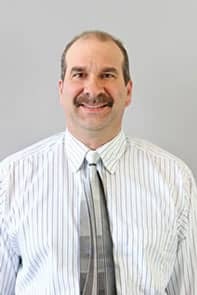 Pete is a well-rounded car salesman who has experience working on cars as well as selling them. He’s easy to talk to and is confident that he can find the right vehicle for you. He loves motorsports and high performance vehicles of all kinds. When he’s not working, he’s spending the day at the lake with friends or hanging out with his pit bull, Flex. Kody grew up working on the farm – where he learned the importance of hard work and how to be responsible. 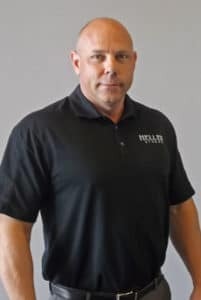 A few years ago, Kody joined the Heller team. 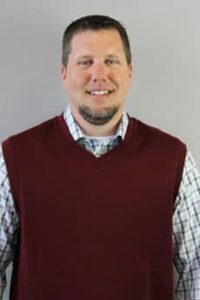 While he’s worn many hats in that time, Kody has excelled in every position and his personality makes him a natural fit for our sales department. Kody’s knowledge and experience in many different areas of our dealership will certainly help him serve his customers. Kody likes to spend his free time with family and friends. He has never been much of a “couch potato” and prefers being outside working on landscaping or caring for his family’s livestock. Kody doesn’t have any kids, but his Miniature Pinscher (Remmy) keeps him on his toes! Craig’s service-focused attitude makes him a great fit for Heller Ford’s sales team. As his customers will tell you, he’s willing to go out of his way to ensure that their needs are met. He just had a baby girl, so he doesn’t have too much free time, but when he does, he spends it on the golf course or in the kitchen. He says his best dish is his chili, but he can cook just about anything. 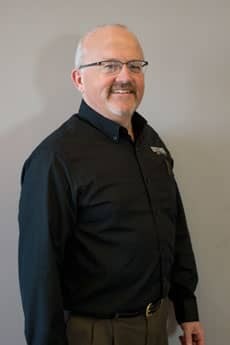 Ask Cliff’s customers, and they’ll tell you that he does absolutely everything in his power to give them the best deal and make sure they’re satisfied. Cliff came to Heller Ford after having a great buying experience here, and he wants to ensure that all his customers receive the same great treatment he did. He’s no Hollywood chef, but he enjoys grilling and makes a mean rack of ribs. 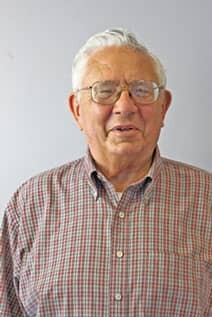 Jimmie Dean Taylor (yes, that’s his real name) is a retired Air Force mechanic known for his knowledge of Ford trucks. He likes to have fun with his customers and maintain a low-pressure environment. He has five children and is a huge Notre Dame football fan. During the season, you can probably spot him on the sidelines of his kids’ sporting events. Even if you don’t see him, you’ll definitely hear him. As his customers will tell you, Rich makes the car buying process easy and fun and always follows up after the sale. He loves working for a family business like Heller Ford that rewards hard work. 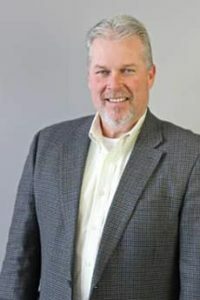 Though he was born in Chicago, Rich is an enthusiastic outdoorsman who enjoys spending his spare time fishing and hunting, as well as with his wife and family. According to Rich, Jamaica is nice, but he’d rather be in a tree stand or a duck blind. 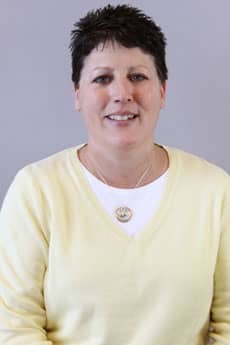 Jody has spent over two decades in sales at Heller Ford and brings that experience to every customer interaction. Great with follow-up, he has many repeat customers and believes that customer referrals are the best compliment he can receive. When he isn’t working, he enjoys spending time at the lake with his family and racing his pristine Pontiacs in the Pure Stock Muscle Car Drags! 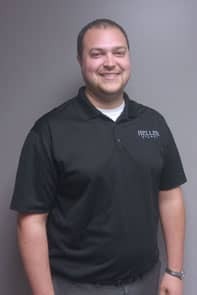 DJ grew up in central Illinois and has worked at both Heller locations. He enjoys meeting new people every day and prides himself on his honesty and fairness. In his spare time, he enjoys reading (he’s a bit of a history buff), video games, and vintage collectibles. If you need a ride to the next Comic Con, there’s a good chance you can hop in with DJ. Mike enjoys working for a family oriented company like Heller Ford because they take care of everyone who comes through the doors – both employees and customers alike. Mike loves that he gets to meet so many people as part of his job. In his spare time, Mike enjoys spending time with his wife and his dachshund. Mike maintains a perfectly manicured lawn and is always ready to start a new landscaping project! Kris graduated from ISU and started his professional life in central Illinois. 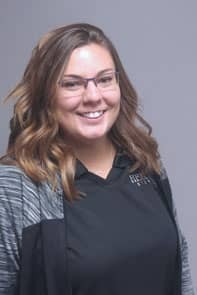 With 13 years of industry experience and a knack for making things easy on customers, Kris is happy to help customers get the vehicles they need. On a nice day, it’s tough for him to choose between the golf course and his Harley, but if you ask him, neither hobby compares to spending time with his daughter. Jake knew from a young age that he wanted to be in the car business when he would “sell” cars to his parents at the kitchen table. 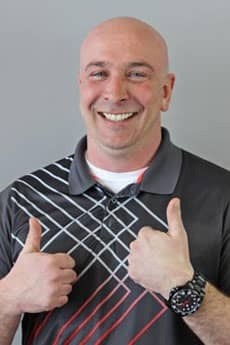 The most rewarding part of his job is helping people make the right decisions on their vehicle purchases, which is exciting for the customers and himself every time! 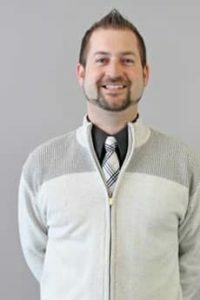 He graduated from Illinois Wesleyan with a Business Administration degree in May of 2015. He’s passionate about being active, especially in CrossFit. When he’s not here, he is most likely spending time with his dog Wrangler or enjoying the outdoors! 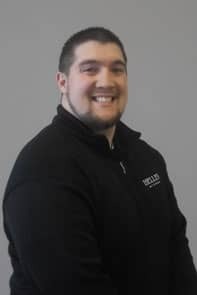 He’d love to have dinner with his coaching heroes Tom Izzo or Coach K.
Steve joined Heller Ford recently after moving to Illinois from Florida. 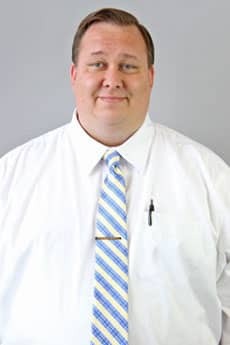 He brings several years experience as a Service Manager at a Tampa area Ford dealership. The transition from Florida winters to Central Illinois’ hasn’t scared him off yet. 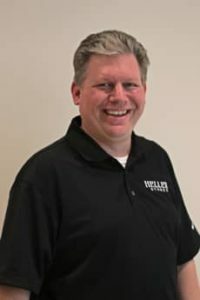 Greg Heiken has over 27 years of experience in the automotive industry, with more than 7 of that at Heller Ford. He enjoys the Heller attitude of treating customers like people instead of numbers. 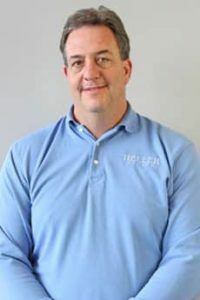 When he isn’t behind the parts counter, you can probably find him hunting, watching his son play sports, or in his garage with his 2010 Camaro RS/SS or his 1983 Thunderbird Pro Street. Greg is too humble to mention it, but you should know that he is the unofficial El Paso Corn Festival ski ball champion. 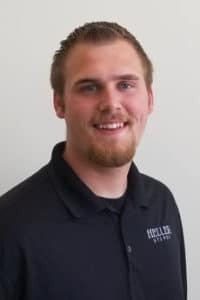 Kyle has been at Heller Ford for three years, and he’s here to make sure your car looks like new. 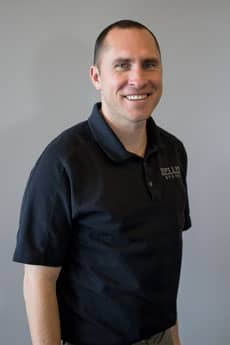 Reconditioning vehicles is what he and his detail crew do best, and his customers will tell you that their car never looks as good as when Kyle details it. When he’s not spending time with his new granddaughter, you can probably find him enjoying the great outdoors or cruising on his Road King. 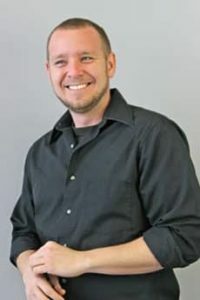 Mike is no stranger to the automotive industry, having spent over 7 years as a manager and/or technician, where he often enjoyed helping others and making someone’s bad day better. 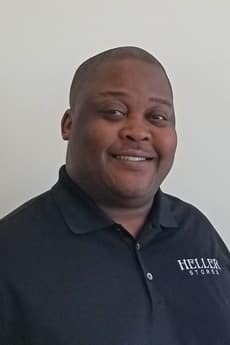 As a big believer in family values as well, Mike has found his perfect match as a Service Advisor with Heller Ford, where we are all a big family. Mike is here to help you with all of your maintenance and service needs. In his spare time, he enjoys spending time with his family and friends, tinkering around in the garage, and traveling. Billie Joe is a mother of two kids, ages 10 and 5. She has spent the last 4 years at home with them. Before being a stay at home mother, she worked at Central Illinois Trucks in Normal for over 7 years. She started as a service writer and was a contract maintenance manager for the final year. Billie Joe grew up in El Paso, but have lived in Normal for the last 12 years. My weekends are spent at soccer and volleyball games watching my kids. 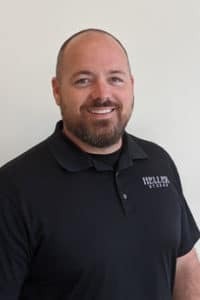 Billie Joe is looking forward to helping you with all of your service needs on your vehicle. Just call in today and ask for her!